The Colton 22 inch linen tower captures attention with its stunning Basil Green finish, brushed nickel hardware, and lovely louver doors. But Colton's construction is equally as compelling. Solid birch wood frame, plywood drawer boxes, dovetail joints, soft-close glides and hinges. The Colton linen tower delivers quality in both form and function. 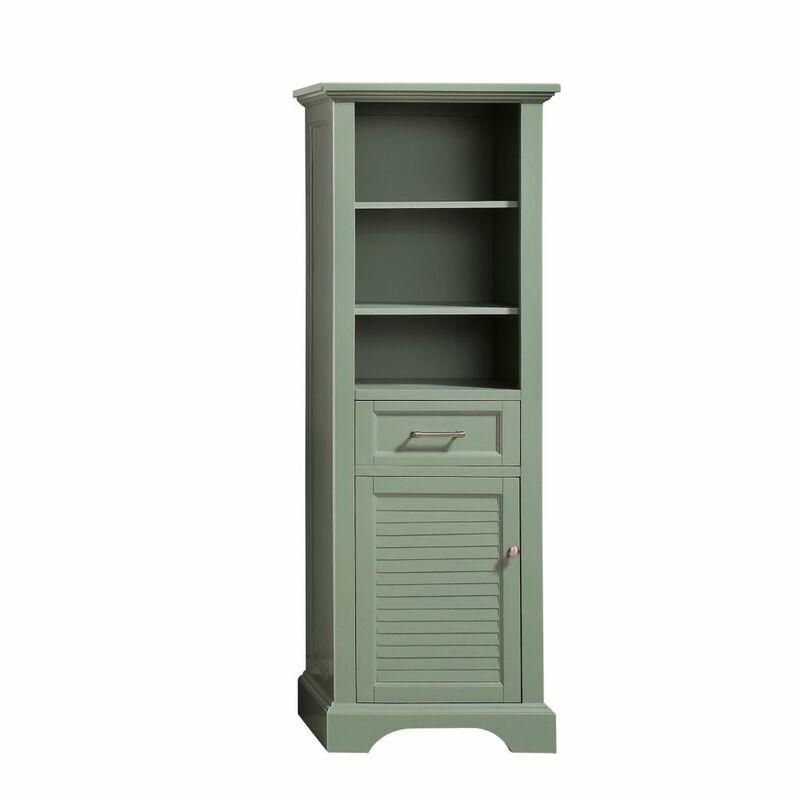 Colton 22 inch Linen Tower in Basil Green The Colton 22 inch linen tower captures attention with its stunning Basil Green finish, brushed nickel hardware, and lovely louver doors. But Colton's construction is equally as compelling. Solid birch wood frame, plywood drawer boxes, dovetail joints, soft-close glides and hinges. The Colton linen tower delivers quality in both form and function.